Fear of the federal government’s interference with Second Amendment rights and suspicion that elected officials are ignoring the “will of the people” have provoked a resurgence of self-described patriots across the country who say they are preparing to defend themselves and their rights by any means necessary. Organizations tracking the movement say the number of groups has risen dramatically in the past six years. Reynolds is the operations manager of Shots Ranch, a tactical shooting range and survival training facility in Kingman, Arizona. He considers this type of training to be necessary preparation for a time in America he sees as inevitable. For individuals like Reynolds, the Second Amendment is an important check on the government and is needed to protect the Constitution. In 2008, the U.S. Supreme Court ruled in District of Columbia v. Heller that the Second Amendment protects an individual right to own a firearm for traditionally lawful purposes like self-defense. The Southern Poverty Law Center identified 1,096 “anti-government” patriot groups in the U.S. in its 2013 Intelligence report, an increase from about 150 groups in 2008. Considered part of this movement are 240 militia groups, which the center says have made a resurgence since their earlier popularity in the mid-1990s. Mark Pitcavage, director of investigative research for the Anti-Defamation League, also has been studying the militia movement for the past 20 years and says the numbers are higher. The ADL keeps an internal list of militia groups, but does not publish it. "We were tracking around 50 active militia groups in 2008 and now we're tracking between 250 and 300 active militia groups," he said. "It certainly represents a serious surge, which we're able to confirm through the presence of groups and individuals on social networking sites, the number of militia-related events and trainings that we count each year." Pitcavage said the last militia movement was sparked in part by events in Ruby Ridge, Idaho and Waco, Texas, sieges that tuned in to deadly standoffs with federal agencies. He noted a similarity between these events and the standoff between Cliven Bundy and the Bureau of Land Management earlier this year in Bunkerville, Nevada. Bundy had been in a disagreement with the government over more than $1 million in grazing fees and fines owed to the federal government. When the BLM came to seize his cattle in April, many militia groups and other members of the patriot movement joined his resistance, aiming their weapons at federal officers until the BLM withdrew. Modern private militias are unregulated by the government. Members of the movement say they feel disenfranchised and believe their conservative ideals are at odds with the current administration. They say that arming themselves and training with other like-minded people gives them a sense of preparedness in an unstable world. Click here to view more from the Citizens Militia of Mississippi. A little over a year ago, Mitchell started the Citizens Militia of Mississippi, which now claims nearly 150 official members – a number that members believe would probably be higher if not for the word “militia” in their name. They acknowledged a stigma surrounding the word, and said part of their mission is to help remove the negative connotation. Active members typically do field training one day a month. That includes drills to practice patrolling and live-fire target practice, as well as learning about first aid, compass navigation and outdoor survival skills. Mitchell says their exercises are largely focused on team building, much like basic training for new military recruits. Much of their activity focuses on the community. Mitchell said the group holds regular open meetings at the local public library and helps raise money for local police and firefighters. While he says he wishes the militia were his full-time job, Mitchell makes his living as a machine operator at Batesville Casket Co. He said most of his remaining time is occupied by CMM business. Mitchell considers the Second Amendment a priority in his life, one that requires sacrifice. 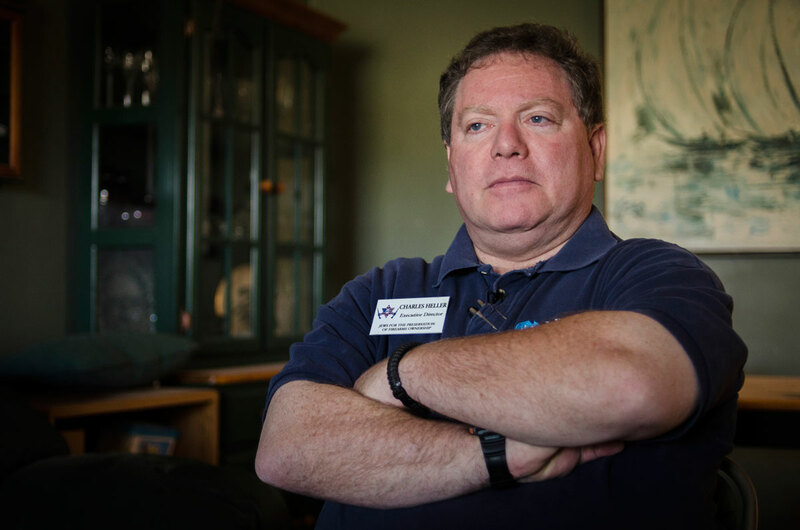 Charles Heller, a spokesman for Jews for the Preservation of Firearms Ownership, talks about gun rights at his home in Tucson, Ariz. Photo by Jim Tuttle/News21. The group was formed to spread awareness “about the historical evils that Jews have suffered when they have been disarmed.” Twenty-five years later, that mission has expanded. “I’ll put it in four words: Gun control is poison. Any form of gun control,” Heller said. Many gun-rights supporters believe that the uninfringed ability to keep and carry guns is necessary to protect all other rights in the Constitution. People who share these beliefs are preparing throughout the country. A majority of states have at least one established militia group. In Alaska, militias from across the state have gathered annually for the past three years for a weekend Prepper, Survivalist and Militia Rendezvous just north of Anchorage. The public is invited to come out for “free training provided by patriots.” Topics on the training schedule include close-quarter tactics, base defense, camouflage and convoy security. This year, its training calendar included topics like winter survival exercises, shotgun and gas mask drills, as well as patrolling in various conditions. “As ‘individual’ citizens who have the right to ‘keep and bear arms,' we fund our own equipment and arms, we peacefully assemble with other likeminded ‘individual’ citizens who do the same,” said Louis Vondette, a member of SMVM. “We enjoy the best of times, but prepare for the worst of times. Alex Lancial is an Ethics and Excellence in Journalism Foundation News21 Fellow. 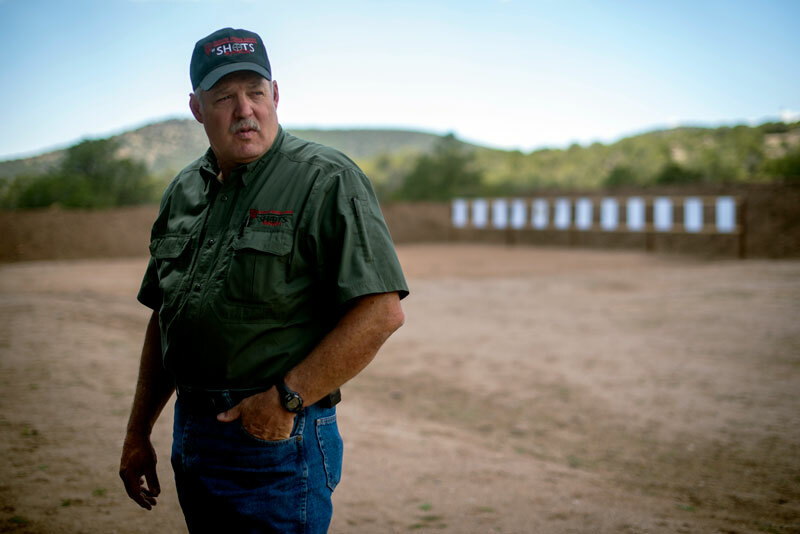 Cope Reynolds manages the operations at Shots Ranch, a tactical training facility in Kingman, Ariz. Photo by Jim Tuttle/News21.